In a press release today, iRobot Corporation (listed on the NASDAQ as IRBT) announced that they had passed the sales milestone of five million home robots. Five million! That’s a lot of robot vacuums. iRobot has been selling Roombas since 2002. The behavioral algorithms which make the robots clean floors more effectively. Technology for detecting obstacles before the Roomba runs into them. The low profile of the Roomba, which makes it ideal for vacuuming under furniture. Dirt Detect: The robots sense dirt and change their behavior to spend more time in dirty areas. Anti-tangle technology, which keeps the robot vacuums from getting caught on cables and fringes on rugs. 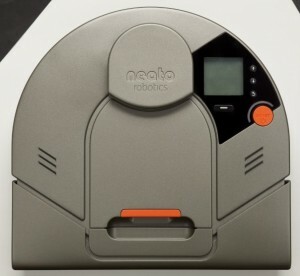 Scheduling: So that you can have the robot clean your house when you’re not home. Cliff detection to keep the vacuum cleaners from falling down stairs. Automatic surface adjustment so that the robots can transition between different floor surfaces. Round shape: Here’s one I haven’t thought about. iRobot says that the round shape of the Roombas helps keep them from getting stuck. The press release goes on to detail the price range of Roombas, emphasizing that the entry-level robot is around US $129, and also mentions some of iRobot’s other robots for cleaning around the house. So the Scooba, Dirt Dog, Looj, and Verro. Here’s a link to the official press release on iRobot’s site. It looks like the iRobot Roomba is going to have some more competition. A company named Neato Robotics has introduced their own robot, named the XV-11, due out in January 2010 (estimated price is US $399). The XV-11 robot vacuum resembles a Roomba in that it is short, but instead of being round, it has two square corners in the front of the robot. Neato explains that these make the robot more able to vacuum into corners. While that’s the most obvious difference, it looks like there are others worth noting. The XV11 users lasers and a mapping technology known as SLAM (simultaneous localization and mapping) to create a map of any room before it starts to vacuum. The vacuum will start by circling the perimeter of a room to create a map. Large rooms are broken up into fifteen foot square areas. A laser on the top of the robot is used to identify walls, furniture, and doorways. Then the robot vacuum concentrates on path finding and obstacle avoidance. Once the initial map is made, the robot will start at one end of the room and methodically go back and forth across the room like it’s swimming laps to cover all the space. This is in contrast to the iRobot Roomba, which uses a few different “behavioral” algorithms to cover all the floorspace in a room, and which works in a more chaotic manner. Unlike the Roomba vacuums, which use virtual walls and lighthouses to control how the robots go from room to room, the Neato can distinguish doorways. So you can set it in “Room Mode” and it will stay in one room. If you want it to clean the whole house, you set it to “House Mode” and it will go from room to room. The vacuum is designed to clean each room completely before moving on to the next. Like a Roomba, the Neato XV11 can locate its charger and automatically charge. Some other features it shares with Roombas are: cliff detection, scheduling, a removable bin, and variable floor vacuuming. So it can vacuum linoleum, carpet, etc. The Neato robot is much more loud than the Roombas, which the company explains is due to the fact that the vacuum has more suction. The Neato vacuum also has a LCD display so you can see its status. Battery life is estimated at an hour.